Latin America continues to attract U.S. health care companies, with its expanding middle classes increasingly able to afford better health care. No surprise then that DaVita HealthCare Partners, Inc. (NYSE: DVA), which provides integrated dialysis services for patients suffering from end-stage renal disease, announced it has taken majority ownership of Esensa S.A.S., the largest independent renal services provider in Colombia, for an undisclosed amount. The new joint venture includes seven clinics treating nearly 1,500 patients in Bogota, Cali, Medellin and Barranquilla. DaVita plans to expand services in these cities and throughout Colombia. The company now has operations in nine countries outside the U.S….Want to read more news? Click here for a free trial to The Health Care M&A Information Source and download the current issue today. May was a great month for deal-making, especially in the Pharmaceutical sector. Five of the top-10 largest deals reached or exceeded a billion dollars, and seven of the top-10 deals involved pharmaceutical companies or their drugs. The combined total of the month’s 10 largest deals was $22.1 billion, the best record so far this year. June is starting out fairly well, but we’ll have to wait to see if it’s all downhill from here, or the beginning of a beautiful thing. Bausch + Lomb Holdings Inc. Sorry, but we just can’t seem to get enough – or far enough away from – the ongoing saga of Royalty Pharma’s pursuit of Elan Corporation (NYSE: ELN). Last week the hostilities heated up again, when Royalty announced an extension of its increased offer (the one it made on May 23, for $12.50 per share) to Friday, June 21, 2013. The very next day, it came back with a higher bid of $13.00 per share in cash, plus a contingent value right (CVR) worth up to $2.50 per share. Based on feedback from Elan shareholders, Royalty says, the CVR enables participation in the expected future upside of milestones achieved by the multiple sclerosis drug Tysabri, which Elan sold to its former partner, Biogen Idec (NASDAQ: BIIB) for $3.25 billion back in February. That was the deal that launched this hostile takeover battle, and has resulted in a few more deals, including Elan’s defensive moves to buy AOP Orphan Pharmaceuticals for about $340 million and Newbridge Pharmaceuticals for $40 million. Those deals could be terminated if Royalty’s latest offer, which now equals $6.7 billion, is accepted by enough Elan shareholders. We should know sooner rather than later…..Want to read more news? Click here for a free trial to The Health Care M&A Information Source and download the current issue today. ResearchGate, the professional network for scientists, announced a new round of investment from Bill Gates and Tenaya Capital, with participation from Dragoneer Investment Group, Thrive Capital, and the company’s existing investors, Benchmark and Founders Fund. With the $35 million raised, ResearchGate will continue its mission to “free knowledge from the ivory tower, digitize it, and make it accessible for everyone in order to accelerate scientific progress,” according to its co-founder and CEO, Ijad Madisch. While not calling itself a social network for scientists, ResearchGate is striving to connect various constituencies in the research community, hoping to spur innovation through easier sharing and searching for scientific data online…..Want to read more news? Click here for a free trial to The Health Care M&A Information Source and download the current issue today. What drives this market? Where and when should you buy or sell? Who’s buying what and what influences the valuation of physician medical groups? Find out more from our expert panel: Aytan Dahukey (Moderator), Counsel in the Corporate Practice Group, Sheppard Mullin Richter & Hampton; Bill Gil, President and Chief Executive Officer, Facey Medical Foundation; Kenneth Hawkins, Senior VP, Acquisitions & Development, Community Health Systems; Jason Ruchaber, Partner, HealthCare Appraisers, Inc.; Will Tao, Senior Associate, Healthcare Mergers & Acquisitions, Provident Healthcare Partners, LLC. 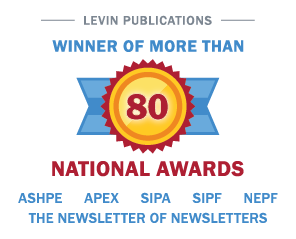 Go to http://www.levinassociates.com/conferences/1306b-online-conference or call 800-248-1668 to register.